Volunteer for a work party. It's fun, rewarding, and the right thing to do. Here's a look at some of our progress. 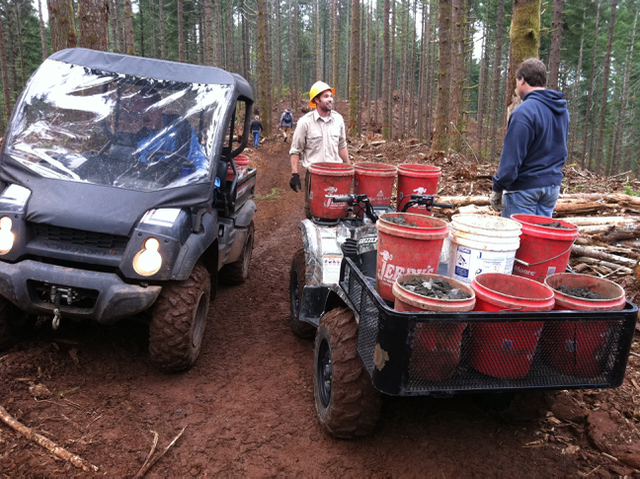 We collaborate with the United States Forest Service's Middle Fork Ranger District on this one. The future is very bright at Huckleberry. 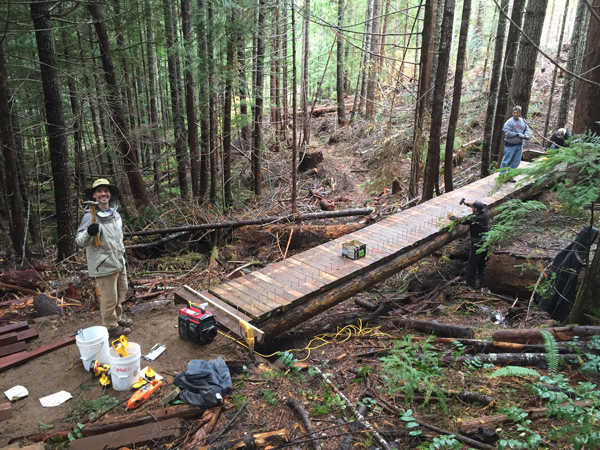 Trail expansion is ongoing and our relationship with the USFS agents there is excellent. Lots of mutual respect going on. Shotgun is in the Bureau of Land Management's Eugene District, located a few miles from Marcola. Shotgun is our closest OHV area and we have a long history of cooperation with the BLM here. Work parties here are often incorporated with a trail ride afterwards. Yay! The Three Trails system is a great example of how User Groups like ETRA can influence a trail system by collaborating with our public land agencies. We've been involved with this excellent riding and camping area since its beginning. It's also growing every year. Cool! We've taken on the responsibility of getting Oregon's young riders legally certified by offering our Shotgun OHV Area YSEP class. We enjoy the interaction with the kids and parents as we share a few important things about rider/vehicle safety and practical OHV basics. OPRD is responsible for the allocation of the essential funding needed for most of our public trail systems. Part of that is the maintenance equipment required for the job. As a participating non-profit club, we are eligible for grant funding for trail maintenance equipment. A retrospective page loaded with videos.